Atwood said the sequel was inspired by readers' questions about Gilead and by the "world we've been living in"
Author Margaret Atwood, winner of the award for Outstanding Drama Series for 'The Handmaid's Tale' attends Hulu's 2017 Emmy After Party at Otium on September 17, 2017 in Los Angeles, California. 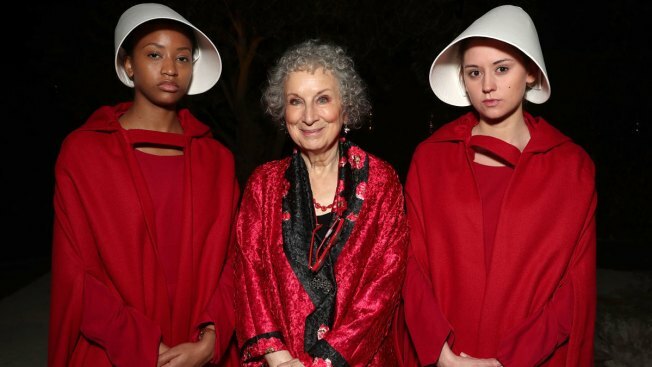 Thanks to public demand, and a certain American president, Margaret Atwood is writing a sequel to her million-selling "The Handmaid's Tale." "The Testaments" will be published next September by Nan A. Talese/Doubleday, the publisher announced Wednesday. The book is set 15 years after the final scene of Offred, narrator of "The Handmaid's Tale." Atwood's novel about a dystopian society in the imagined land of Gilead was a best seller when first published in 1985 and was back on the charts after Donald Trump's election in 2016. The novel is also the basis for an acclaimed miniseries on Hulu.